Daily Billboard really loves the simplicity of this Disney movie billboard. 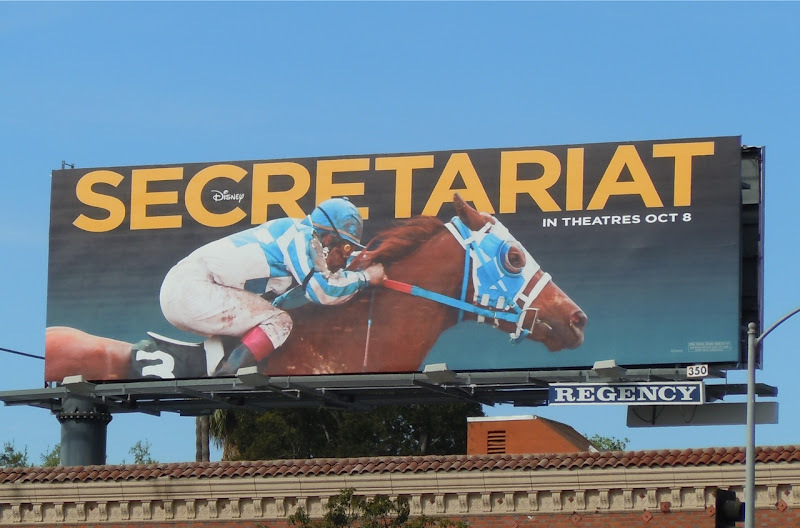 Instantly you can tell it's a film about horse racing, regardless of whether or not you know the full history of Secretariat, the American Thoroughbred racehorse who became the first U.S. Triple Crown champion in twenty-five years in 1973. 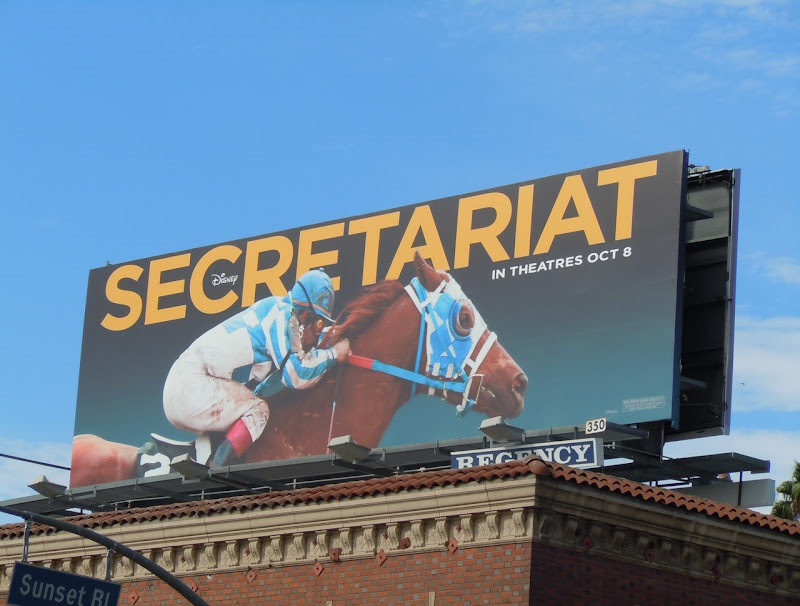 It's a colourful and impactful billboard that really stands out along Sunset Boulevard in Hollywood and was snapped on September 29, 2010.